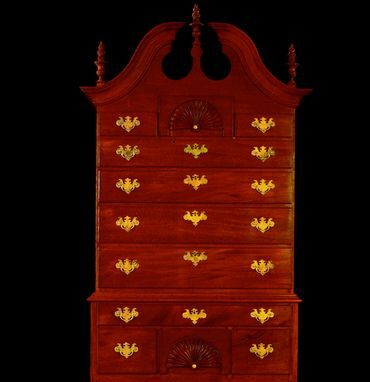 This is a reproduction in the style of an18th century Massachusetts Highboy. 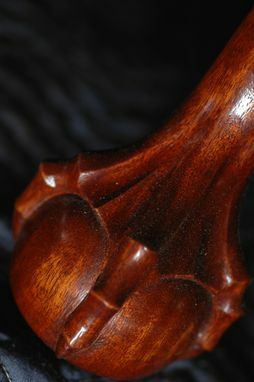 This chest on chest features hand carved flame finials, ball and claw carved feet, and shell carvings on all four knees as well as the top and bottom center drawers. 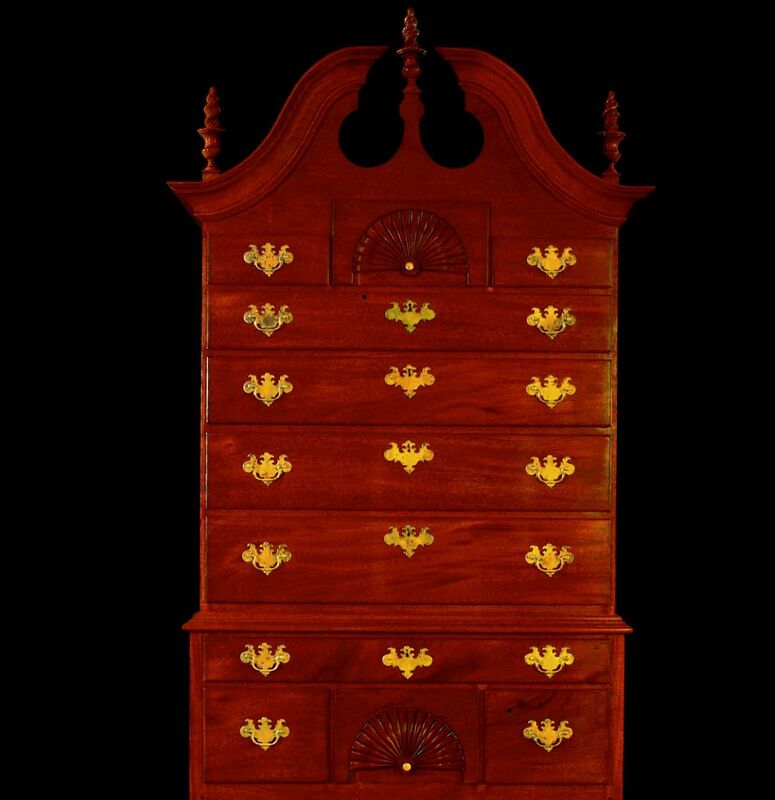 To keep authentic with the style it also contains hidden drawers and brass pulls that are made from lost wax castings of original Chippendale pulls. 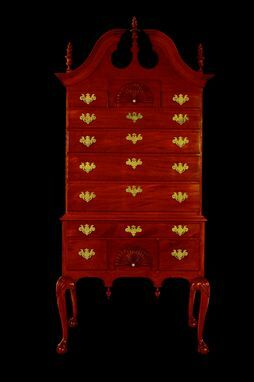 The drawers are all dovetailed as are most of the joinery elements and all pieces are made from solid wood.